Blueprint has announced it will be opening a 15,000-sq-ft Colony Entertainment District on Granville Strip this spring. The entertainment, lifestyle, and events management company based out of BC will be transforming the former location of Caprice Nightclub into the largest Colony location to date. When it’s complete, patrons can expect the 967 Granville Street space to offer them food, cocktails, and a ton of local craft beer. 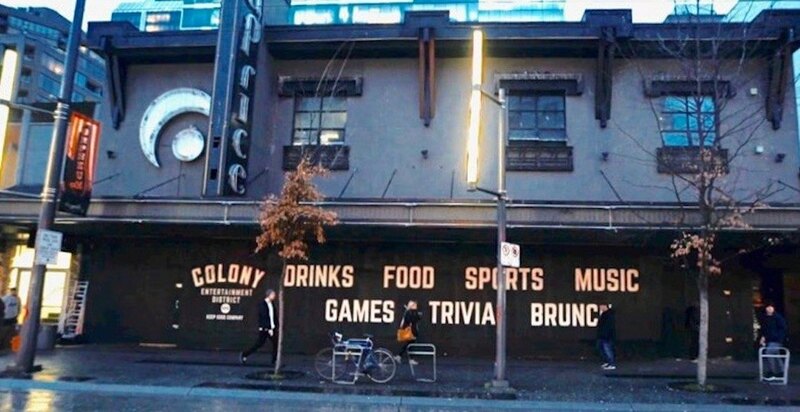 Colony Entertainment District will boast 15 big screen TVs, a full arcade section, and a custom-made indoor bocce court complete with a weekly league night. This new spot will be open Monday to Friday from 11:30 am till late, and Saturday and Sunday from 10 am until late once it opens Spring 2019. The announcement of the fourth location of the concept in downtown Vancouver comes shortly after Colony Northwoods recent opened in North Vancouver.